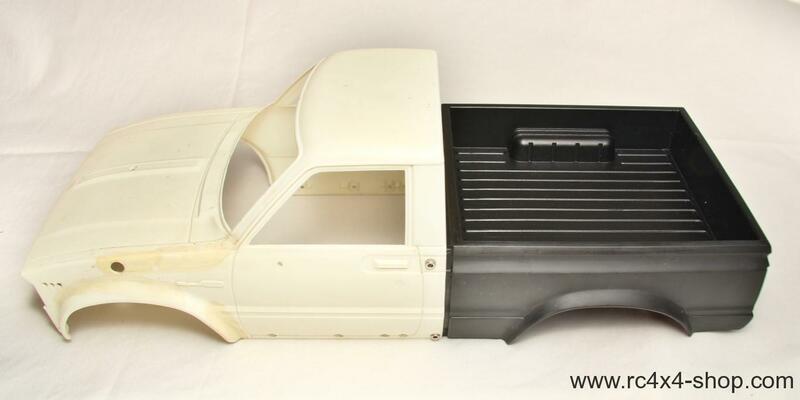 This is a rear bed for Tamiya Toyota Hilux. Its dropped and shortened. 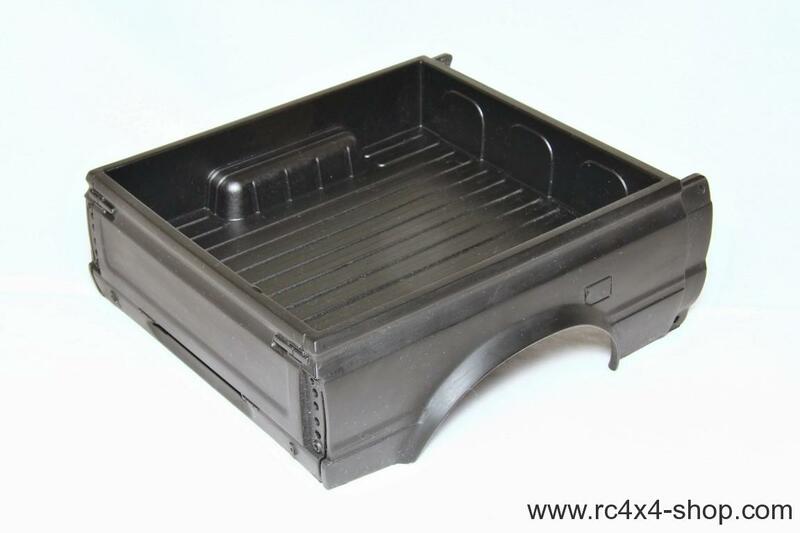 Bed comes from old production for RC Modelex and now its available to purchase separately. 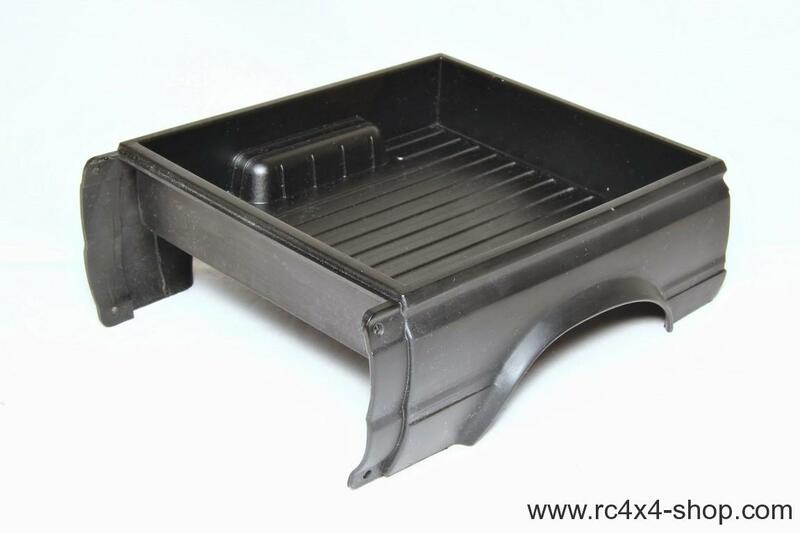 Fits directly to Tamiya Hilux Cab without any modification. Bed has wider fenders for using larger outer diameter tires. It is as much detailed as possible, perfectly manufactured. 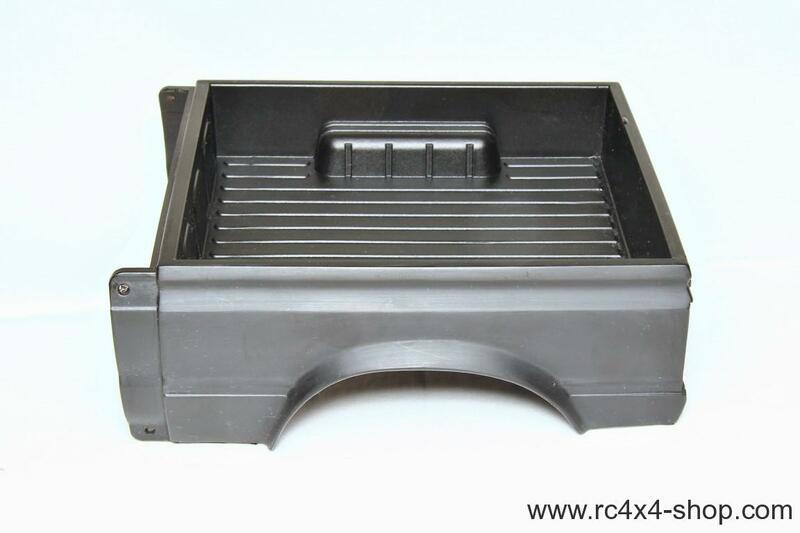 You will receive unpainted bed in black colour of material, exactly as on pictures. 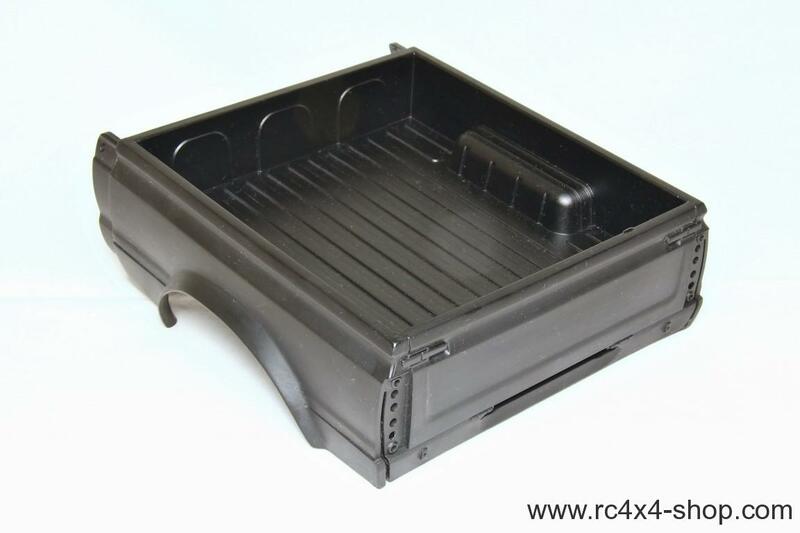 Picture shows bed mounted to Tamiya Hilux Cab, cab is not included.